Casey Sutherland was the starting pitcher for the first game against URI. 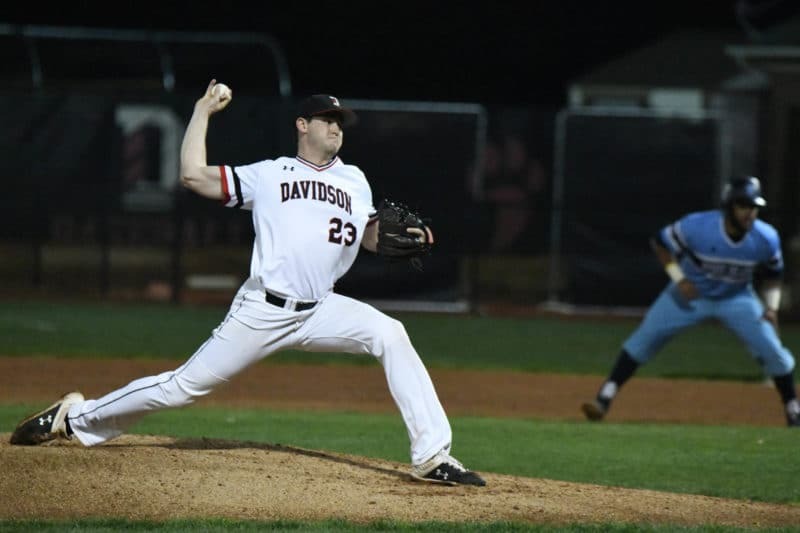 Right-hander Casey Sutherland tossed seven solid innings, and Justin Lebek jump-started the offense Saturday night as Davidson earned a 7-2 win over Rhode Island at Wilson Field. With the win, Davidson snapped a seven-game skid and improved to 15-14 overall and 5-2 in the Atlantic 10. The Rams (14-17) are now 7-3 in league play. 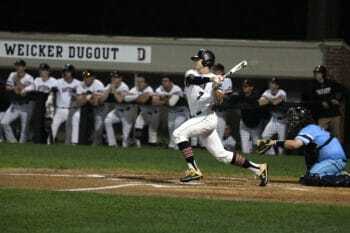 Justin Lebek launches a solo home run. Sutherland (5-0) scattered four hits and struck out eight. Both Ram runs that came across were unearned, and he didn’t walk anyone. What was working? Meanwhile, Lebek hit his fourth home run in seven games. His shot to straightaway center field to lead off the second gave the Wildcats a 1-0 lead. “That was a good start to getting the offense going,” said Sutherland. Trevor Candelaria’s two-RBI single in the third gave Davidson a 3-1 lead. 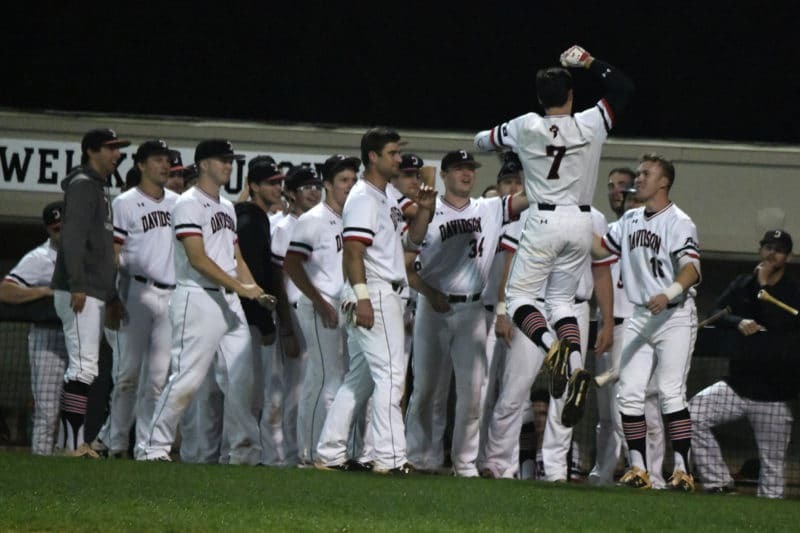 Eric Jones drove in Max Bazin with RBI-singles in the fourth and sixth innings, and Matt Frey’s single drove in Candelaria, who tripled, to plate the final run of the night in the seventh. Gabe Levy came on in the eighth and recorded the final six outs, while allowing one hit and striking out two. The Wildcats celebrate Justin Lebek’s homer.